The Leo August Memorial Breakfast was created in memory of past club president Leo August who willed funds to the club to honor each years three most outstanding catches by Knee Deep Club members with prize money and a breakfast where presentations will be made. The winners are established by the highest three percentages of the current club record for game species in the senior division final standings. All yearlong contest rules apply. Prize money is $500 for first, $200 for second, and $100 for third place. A breakfast will be held for the winners by the trustees each year in accordance with Leo August's will. 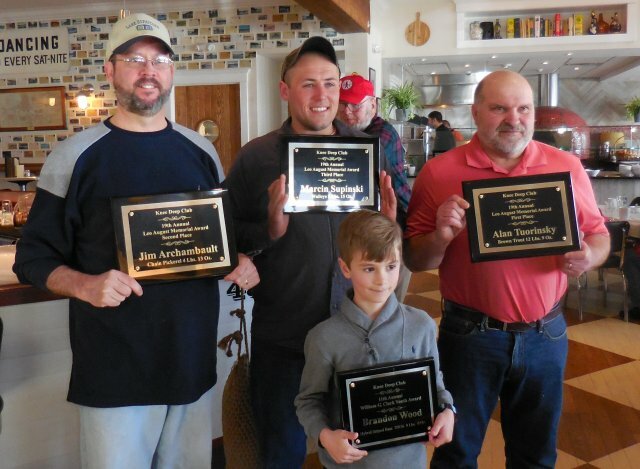 The Helen August Hybrid Striped Bass Contest is open to both senior and junior members and awards the three largest Hybrid Striped Bass caught with $200 for first place, $100 for second, and $50 for third. and honors the greatest catch of the year in our junior yearlong contest with a $100 prize. 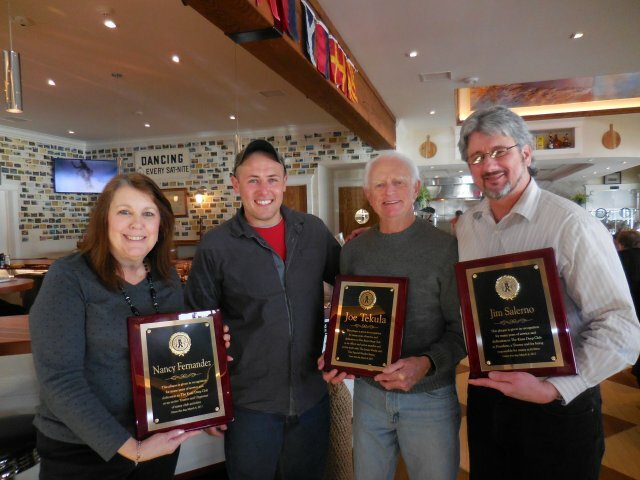 Nancy Fernandez, Joe Tekula and Jim Salerno being recognized for their years of service on the board of trustees. Click here for the 2015 August winners!